Sports Ministry Odisha Announced Awards for Spords Persons. those have done reparable performance in sports will be Awarded Biju Patnaik Sports Prize 2018-19. 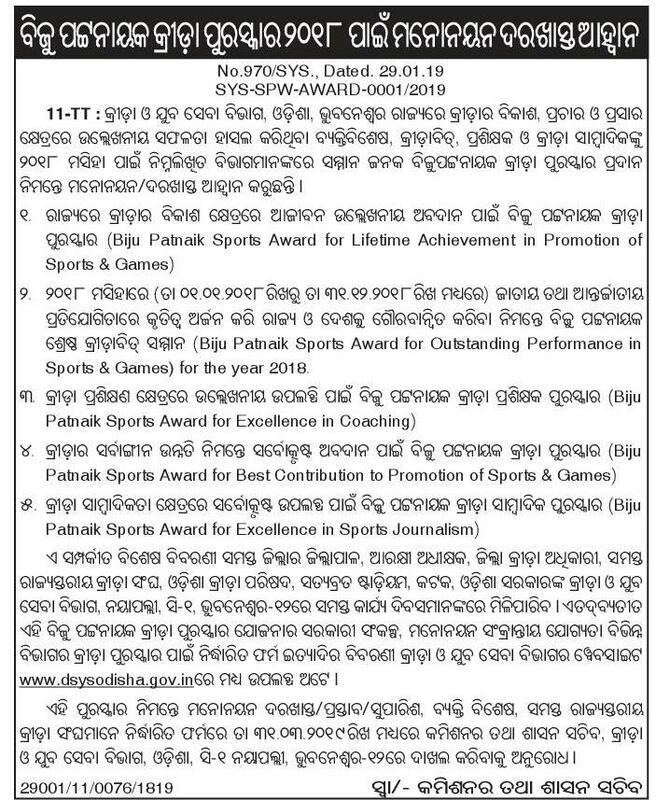 Biju Patnaik Sports Award for Outstanding Performance in Sports and Games for the Year 2018-19.